You are encouraged to leave comments at the bottom of each photo or use the Thumbs Up (PhotoRank) if you like a photo. 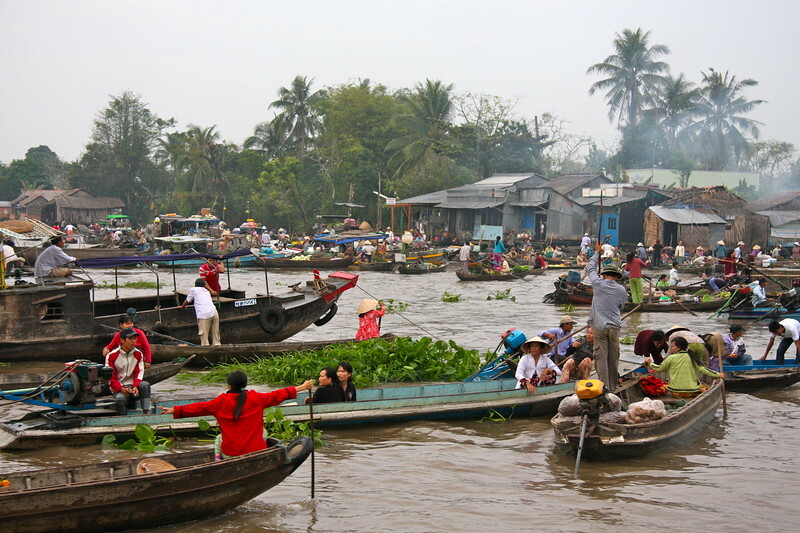 The incredible floating markets in the Mekong Delta. WE got up at 4 am to get a good tour of them as they start early and are over by 8am or so. The boats just float around the river trading whatever they are carrying with others.